Nintendo has long been the party system. From being the first modern console to offer four controller ports with the Nintendo 64 to opening up gaming to a whole group who had never gamed before with the Wii, it’s clearly been a focus for the company. They bring a lot to the table themselves, with games like Mario Party, but third-party developers are also creating a bunch of great content for the Switch to carry on the Nintendo party tradition. 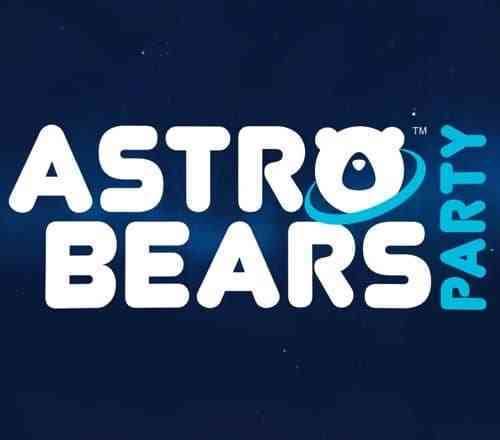 Astro Bears Party fits solidly into that group. It’s a fun, frantic, Tron-like experience with a lot of charm, held back only by its relative lack of additional modes and options. 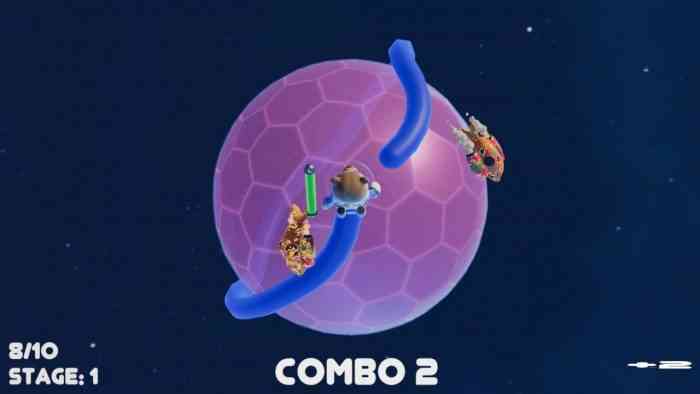 In Astro Bears Party, you are one of four bears tasked with running around a small, semi-transparent planetoid trailing some sort of gel… goo… substance behind you. Touching this substance equals a loss, whether it’s your own or your opponents’. This is where the Tron-like gameplay comes in. Run around the planet trying to catch your opponent in your trail to earn points. First to 40 points is the winner. It’s a bit more complex than old-school Tron, however. Since this is 3D space, you do have access to some verticality. Using your jetpack, you can launch yourself over trails, though it’s a limited resource and requires recharging. You’re also able to execute a quick dash move, which gives you a short burst of speed useful for getting yourself in front of your opponent. Each of the four bears available have different stats – one runs incredibly fast, but has a jetpack that doesn’t recharge as quickly, for example. 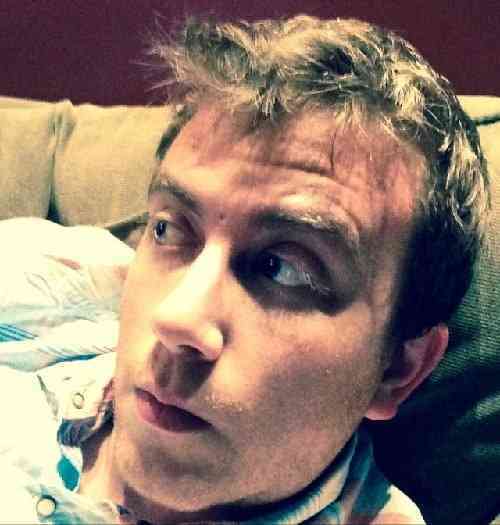 Deciding on your preferred playstyle is important if you want to win. If you want to win, you’ll want to practice. 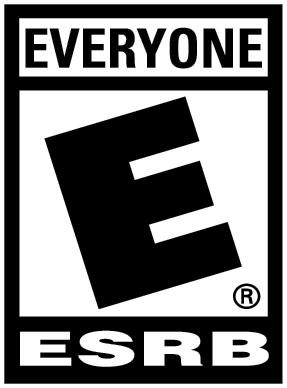 To be clear up front, this is a multiplayer party game. While there is a single-player mode, it serves essentially as training so you can get good enough to trounce your friends in Party Mode. In single-player mode, your job is to run around the planet catching jetfish. Your speed increases and your trail gets longer as you play, increasing the difficulty level until your screen is nothing but spinning insanity. The quicker you collect jetfish, the higher your combo multiplier builds. It becomes a challenge to determine if it’s worth making a risky move to increase your multiplier, or lose the multiplier and at least stay in the game. It’s actually quite a bit of fun on its own, but like I said, it’s really just there to help you learn the ropes for the multiplayer. When you do dive into multiplayer, you’ll quickly discover Astro Bears Party’s one big letdown: lack of variety. You have the option to compete with two, three, or four players, and that’s it. There are no additional modes. Even something simple that combined the standard multiplayer mode and the single-player, like a battle to see who could grab the most jetfish, or perhaps introducing weapons beside your trail, would have been appreciated. As it is, the game’s a blast to play for a short period of time, but eventually your friends are going to want to move onto something else. If the developer put together some DLC, even charged a buck or two for it, I think fans would pay. It’s an inexpensive title to begin with, so the lack of features doesn’t really feel like a ripoff. More of a missed opportunity. That may be all there is to do, but how does it play? Controls are simple. You’re always moving forward around the globe, so movement is confined to turning left and right. Jump and hover with A, get a quick burst of speed with B. In all honesty, the simplicity works to Astro Party Bears’ advantage. You’re going to be so focused on avoiding your opponents’ (and your own) trails that keeping track of a bunch of different moves would be distracting. Not distracting at all are the graphics and effects. This is a simple-looking game, obviously focused much more on the experience than any sort of flashiness. It does look good, however – characters have distinct personalities in their modeling, and there’s minimal slowdown even when things on screen get frantic. However, backgrounds are bland outer space starscapes and the planets are in no way interesting to look at. Musically, too, the game doesn’t try to do much. There’s essentially one song in Astro Party Bears. It’s catchy, with a sort of 80s feel to it, but after a few rounds, you’ll go into the menu and choose Music: Off. I don’t want to come across as being too hard on this game. I really enjoyed it, and to be frank, for $4.99, Astro Bears Party is a pretty good deal, too. It’s held back by its repetition – the music, the modes; even the four bears get old after a while. Bust this out at a party for 30 minutes of fun, but don’t expect your friends to beg for more at the next get together.